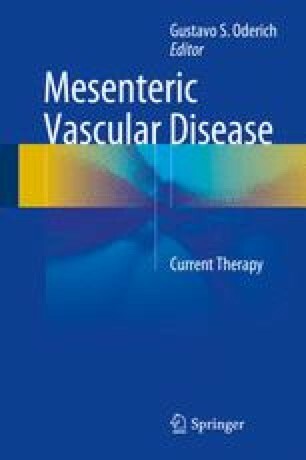 Spontaneous isolated visceral artery dissection (SIVAD) is a rare clinical entity, which most commonly affects the SMA, followed by the celiac artery and IMA. Treatment includes conservative medical management, open surgical repair, and endovascular repair. Although no guidelines currently exist to define indications for these treatments, conservative management has been successfully used in asymptomatic patients and in symptomatic patients without evidence of bowel necrosis. Open surgical treatment has typically been reserved for patients who are symptomatic with signs of vessel rupture and significant narrowing of the vessel lumen or in those requiring bowel resection. Endovascular intervention in SIVAD has been used increasingly in symptomatic patients without evidence of vessel rupture or bowel necrosis and in those patients who fail a trial of conservative medical management. Each of these treatment modalities has been used with short-term success, but more long-term data is needed to evaluate their durability.